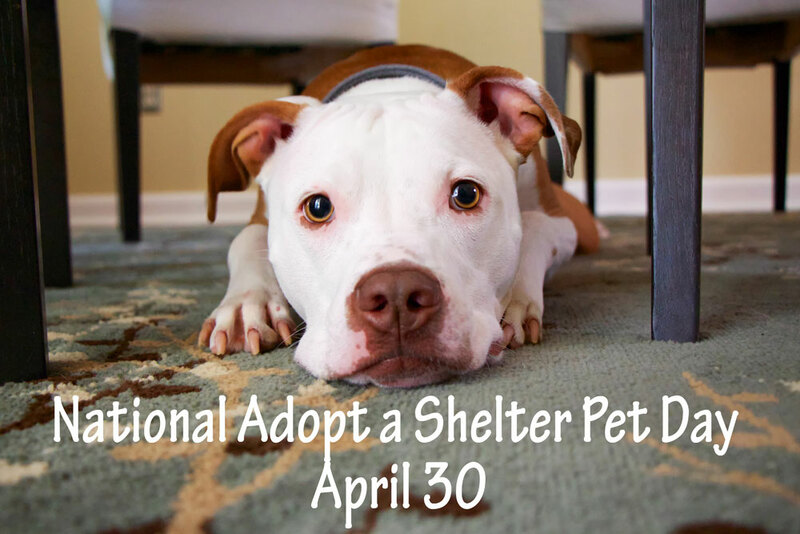 Every year we celebrate National Adopt a Shelter Pet Day on April 30th. This day is dedicated to raising awareness of the number of pets that are waiting in shelters to be adopted into loving families. Many times, shelter pets have stigmas attached to them. Some may think they are unworthy of love, they are “damaged” or they are troublesome. This is far from the truth. Many families who end up adopting from a shelter have found these pets to be overflowing with love. They are so grateful to be welcomed into a loving home because they know how harsh life can be coming from a shelter. If you decide to adopt a pet from a shelter, you have the option to adopt from a no kill shelter or a high kill shelter. No kill shelters, like the North Shore Animal League, refuse to kill any animals they take into the shelter. They are determined to find all of these animals a loving home. The North Shore Animal League is actually the largest no kill shelter in America. High kill shelters, unfortunately, do not care for the life and longevity of the pets like no kill shelters. High kill shelters give the pets a designated number of days to be adopted by a family and if they are not adopted within that time then they are euthanized. Many adopters purposely seek out high kill shelters so they can go save animals right before they are about to be euthanized, or put down. Other adopters purposely seek out no kill shelters because they feel better supporting an organization who would never kill an animal. The preference is a personal decision, but I think we can all agree on what the right choice is :-). Black dogs are significantly less likely to get adopted from shelters. The jury is still out as to why this is the case but perhaps consider a black dog when adopting. Pitbulls are also significantly less likely to get adopted from shelters. This is because of the bad reputation these dogs get as being aggressive and strong. But, it’s all in the love and training. Puppies are commonly sought after in shelters. But if a family or individual does not have a lot of time to train this new puppy then they could face some behavioral troubles. Puppies can be very destructive and they need to be trained properly. If the adopter is short on time then they may want to consider a middle aged dog. Dogs over the age of 3 are past the destructive stage so there should be less troubles. The size of the dog breed will determine the “middle age” stage of the dog’s life. Smaller dogs are middle aged from about 3 to 10 years. Larger dogs are considered middle aged from about 3 to 7 years. If you are looking to bring a new pet into the family, consider adopting a pet in support of National Adopt a Shelter Pet Day.